Dhanteras 2017 marks the beginning of the five day long festival of Diwali. On this day, Lakshmi puja is done. Read the puja and Muhurat timings today. In two days, we all will be celebrating the festival of lights, Diwali. 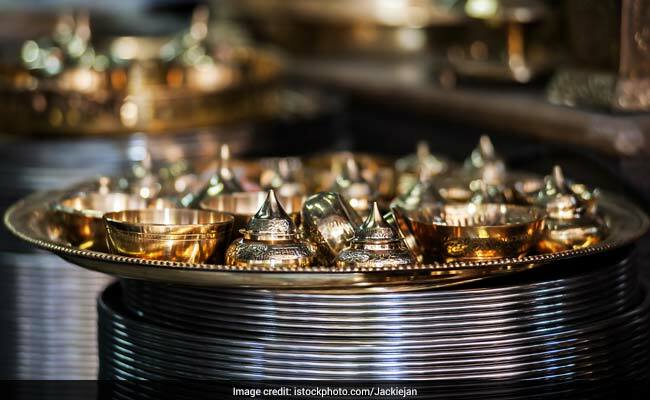 Dhanteras 2017, which is today, marks the beginning of the five day long festival of Diwali, which commemorates the homecoming of Lord Rama to Ayodhya after 14 years of exile. Dhanteras is an auspicious occasion and on this day followers worship Goddess Lakshmi, the harbinger of wealth and prosperity in the family. Also known as Dhantrayodashi or Dhanvantri Jayanti, it literally translates to 'Dhan' which means wealth and 'teras' means 'the thirteenth day'. The holy festival falls on the thirteenth day of the dark fortnight in the month of Kartik, that is two days prior to Diwali. 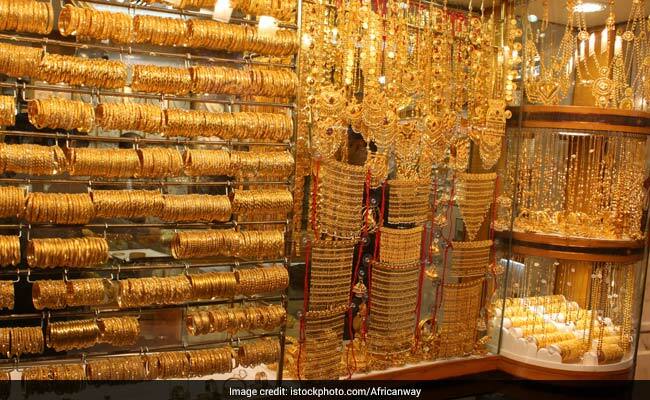 Just like any Indian festival, Dhanteras has a legend associated with it. Though there are a couple of stories associated with it, however, the story of 16 year old son of King Hima is perhaps the most popular one. It is said that as per his horoscope, he was destined to die by a snake bite on the fourth day of his marriage. On the fourth day of his marriage, his young wife did not allow him to sleep. She built a heap of her gold ornaments and silver coins at the entrance of their bedroom and lighted innumerable lamps all over the place. She ensured each and every corner of the room was well-lit and that there were no dark corners. In order to keep him wide awake, she sang songs and narrated stories. When the god of death, Yam arrived disguised as a serpent, his eyes got blinded by the bright lights placed in the room and so he couldn't enter the chamber. All he could do is to sit on the heap of ornaments and coins whole night and listen to the prince's wife's melodious songs. Early in the morning he left the palace. Thus, the young wife saved her husband from the clutches of death. Since that day, Dhanteras came to be known as the day of Yamadeepdaan. 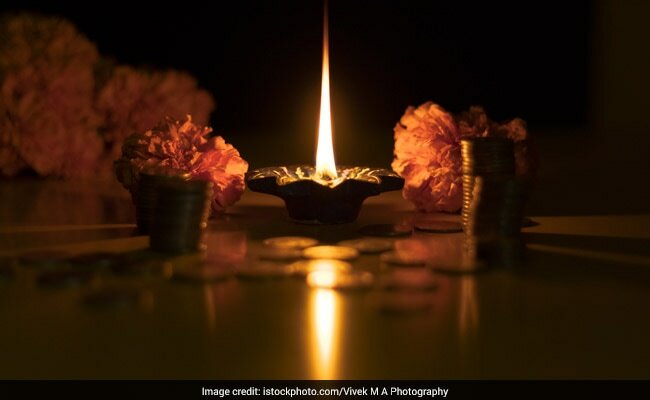 Even today, some people keep lamps burning through the night on Dhanteras. On Dhanteras, people clean and decorate their houses and make goddess Lakshmi's little feet with rice flour at the entrance of the house and near the temple. Rangolis adorn the corners of the houses and Yamdeep (diya) is lit. Some people prefer observing a fast on this day while some do a puja in the evening after sunset. In the evening while doing the puja, devotees place seven grains in front of goddess Lakshmi's idol or picture and seek her blessings for prosperity and wealth. It is said that this is an auspicious day to buy silver utensils or gold ornaments in order to bring luck into the household. People keep diyas in front of the main gates until morning so as to get rid of evil forces and negative energies. Mainly puris and sweets are prepared in order to offer it to Goddess Lakshmi. A mixture made with mixing equal parts of honey, ghee, sugar, yogurt and milk called Panchamrit is offered to the deity in some regions. Lakshmi puja should be done during Pradosh Kaal which starts after sunset.